Moreover, what is a leftist pro-Israel response to claims that “Ohio is infested with Zionists” or that Zionists are responsible for college tuition increases? The Leftist ideology of “resistance” is the source of these calumnies. 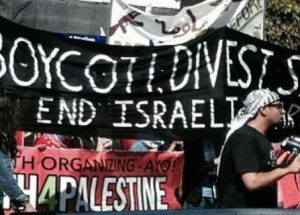 If the existence of any “oppression,” meaning grievance, disappointment or unhappiness (“micro-aggression”), is cause for permanent revolution, how could the complaints of Palestinians or anti-Semites not provide endless fodder for the global Left?